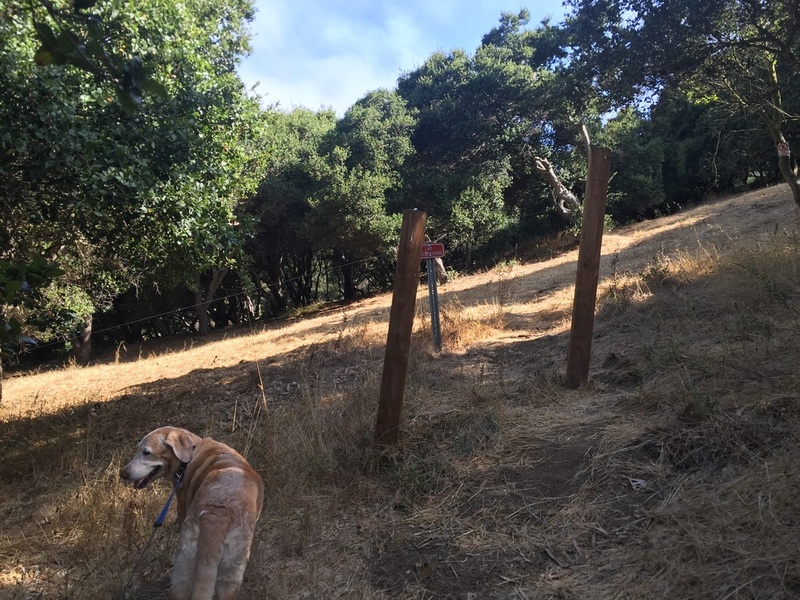 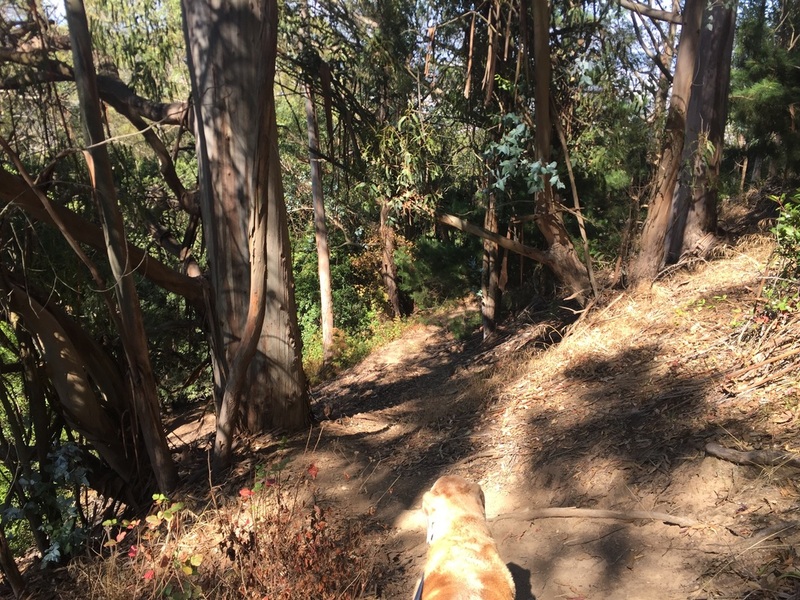 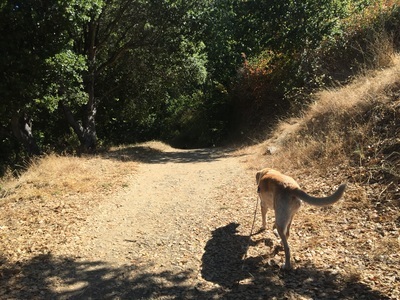 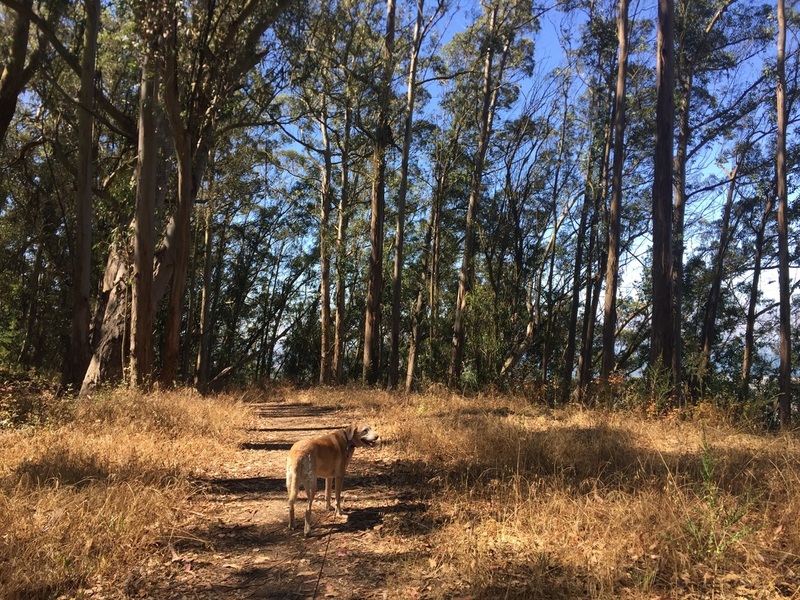 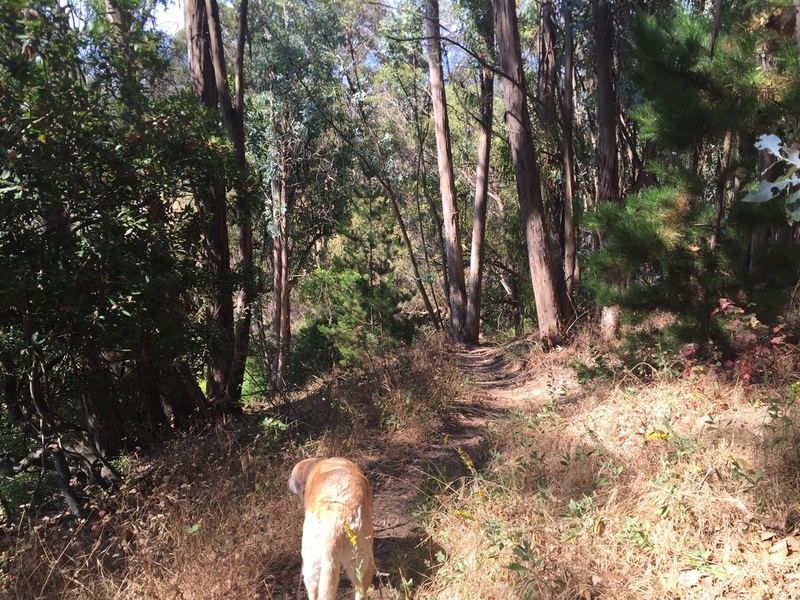 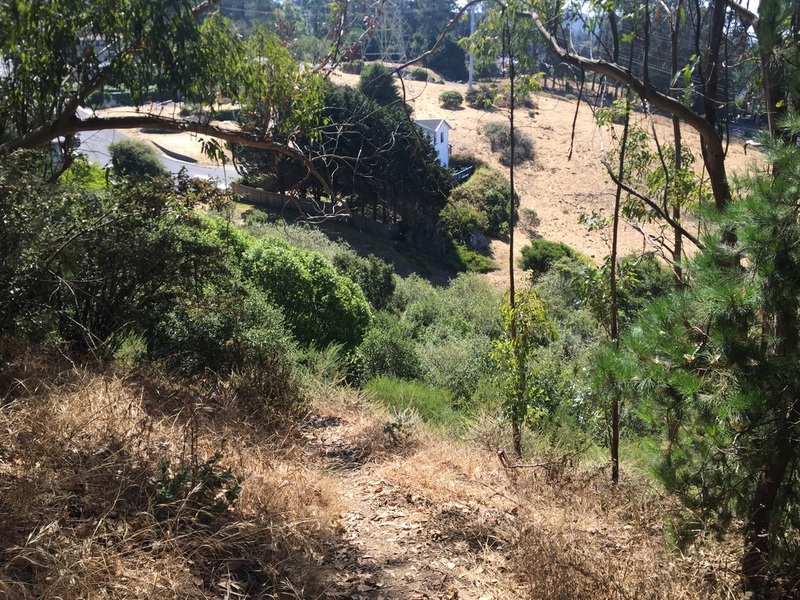 Description: This hike takes you through 100 acres of hillside trails snaking through oak and eucalyptus forests. There are incredible views of the bay area, including Oakland, San Francisco, Berkeley, the Golden Gate Bridge and the Marin Headlands. The trails are all unmarked, but there’s plenty to explore. For our hike, we started on the trail to the left. The trail splits off several times, but we hiked straight ahead all the way to the tree swing. The trail ends shortly after this, so you have to hike uphill. 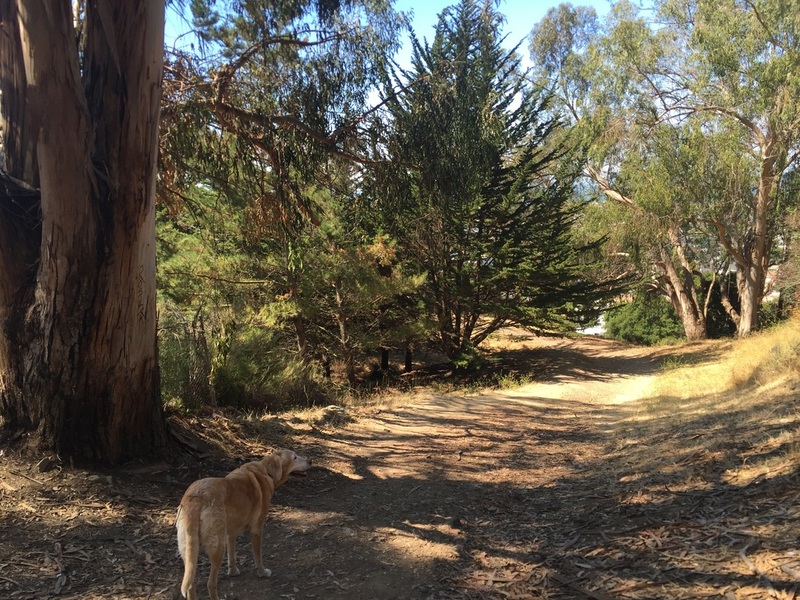 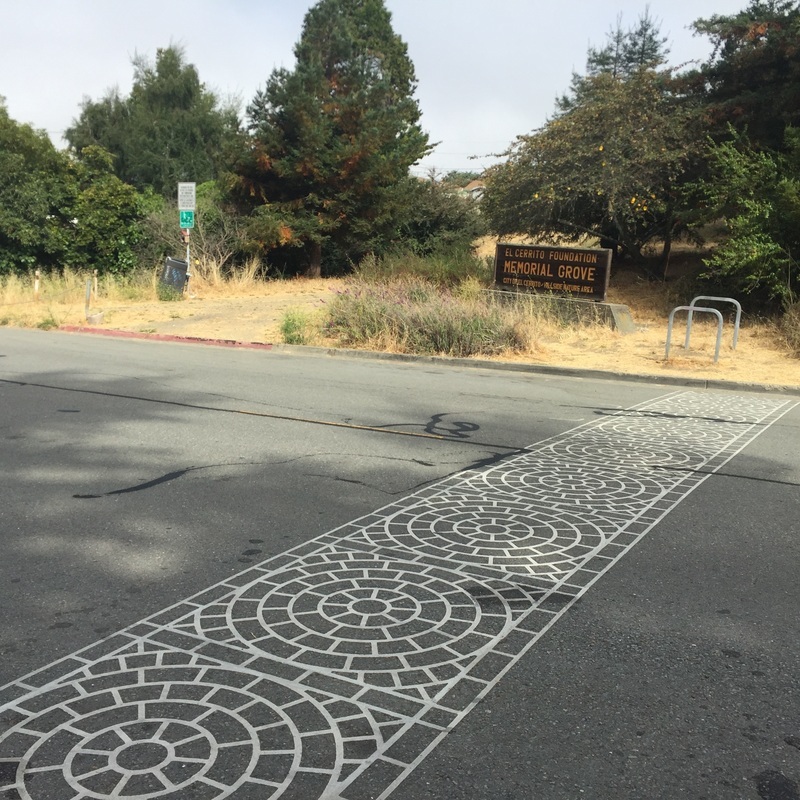 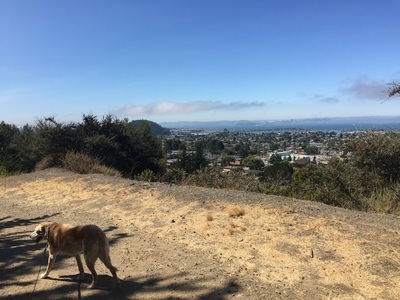 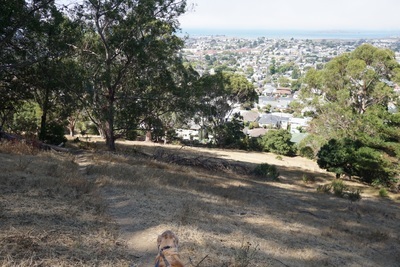 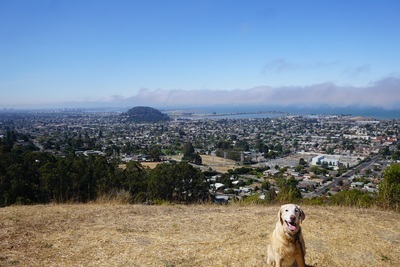 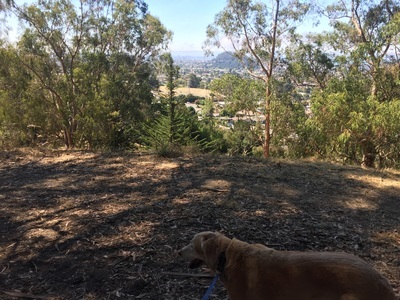 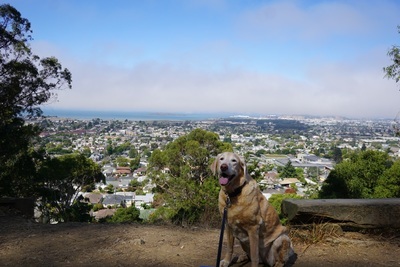 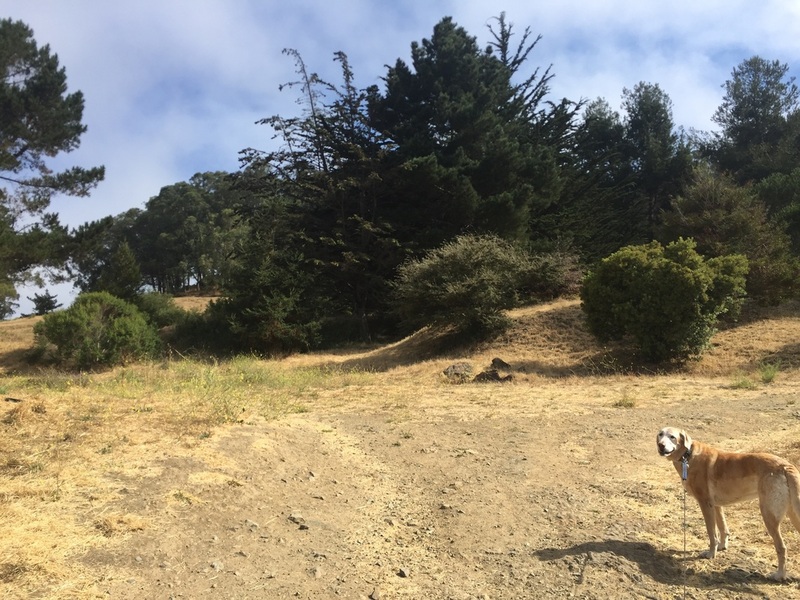 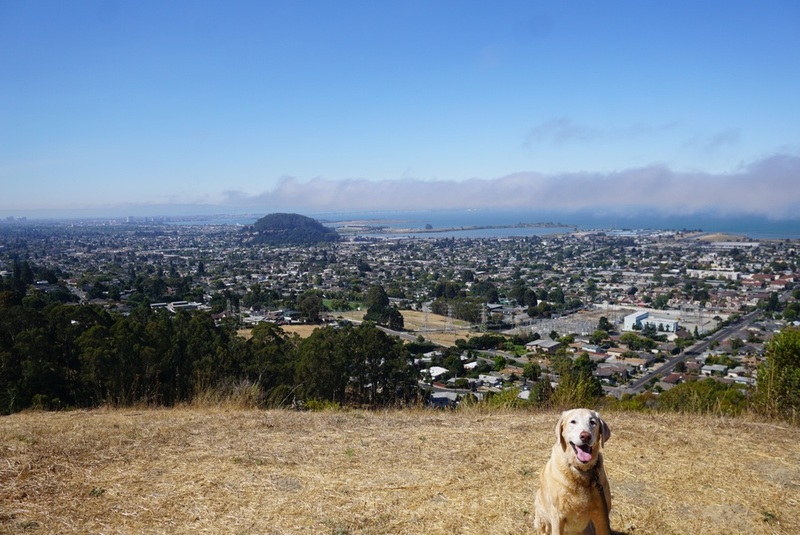 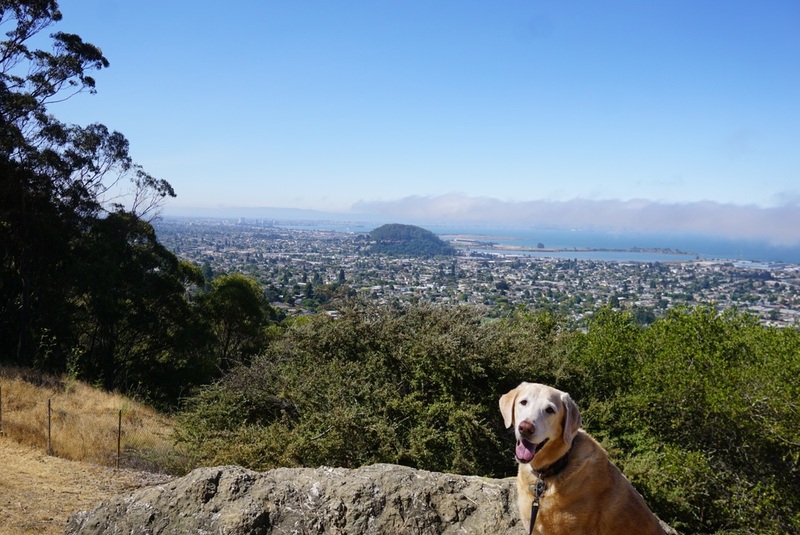 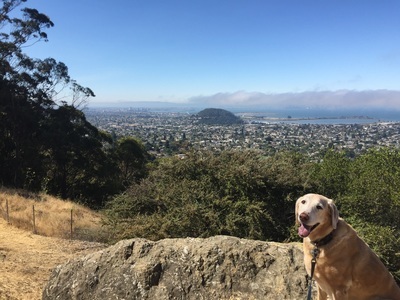 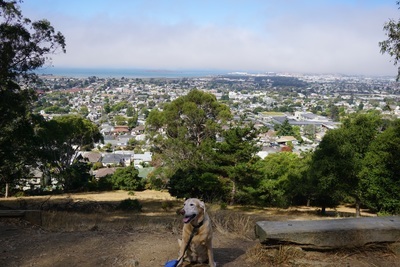 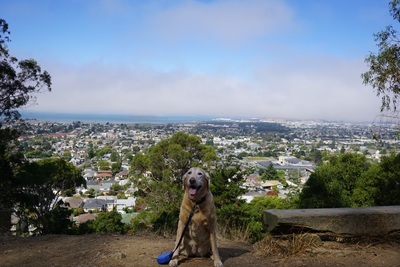 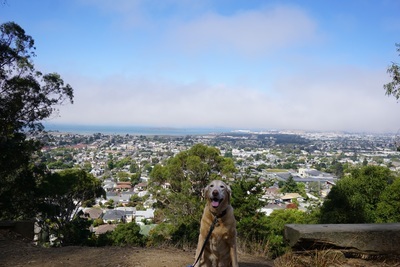 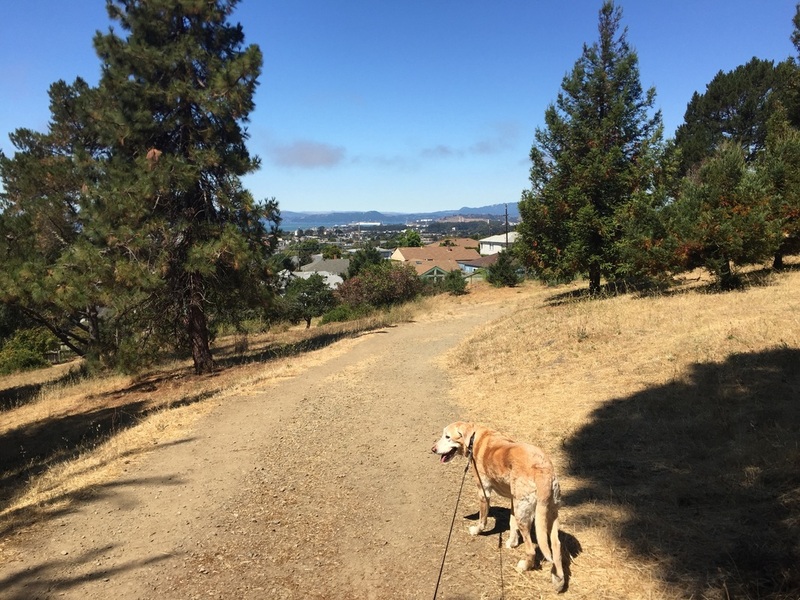 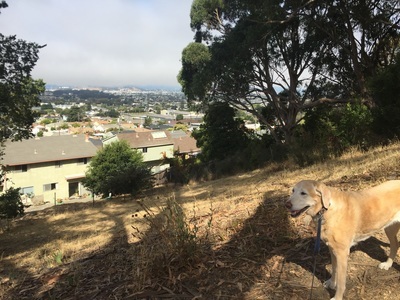 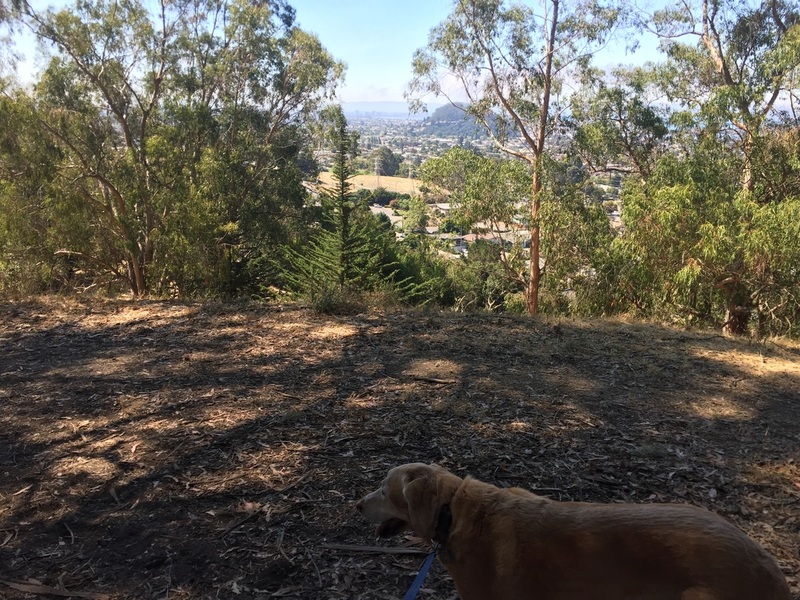 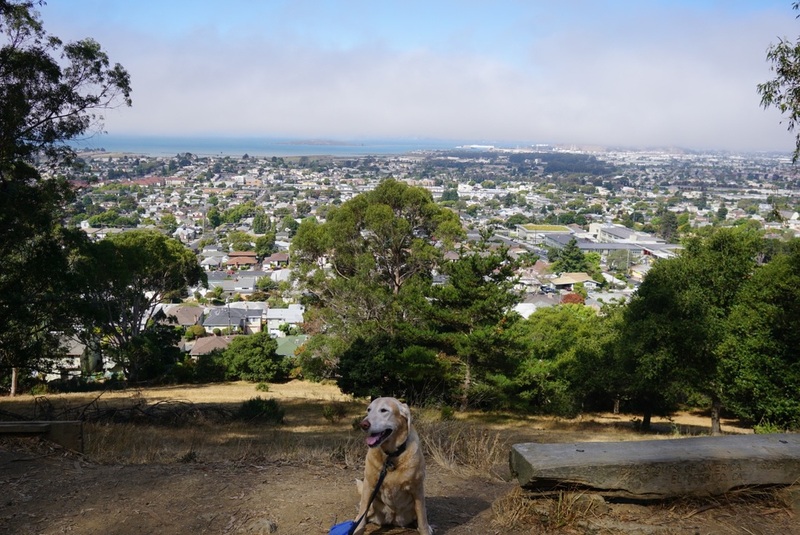 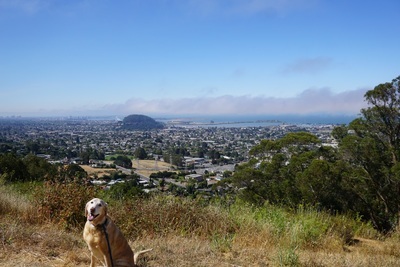 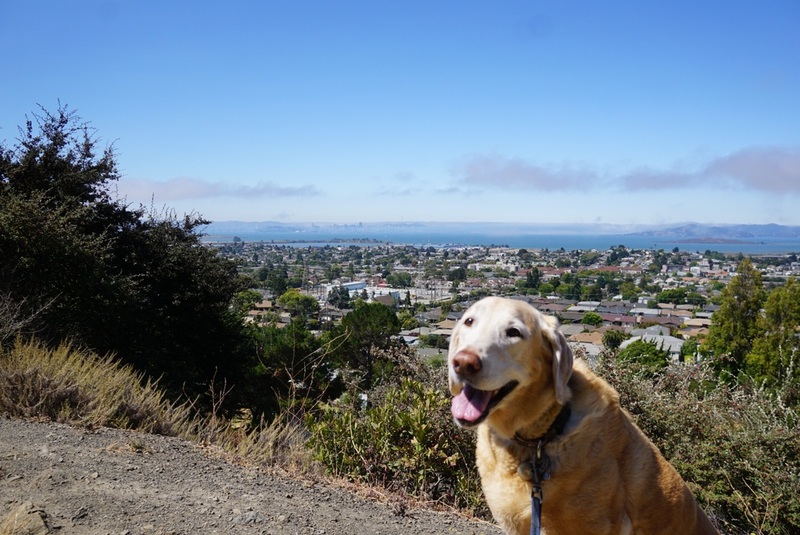 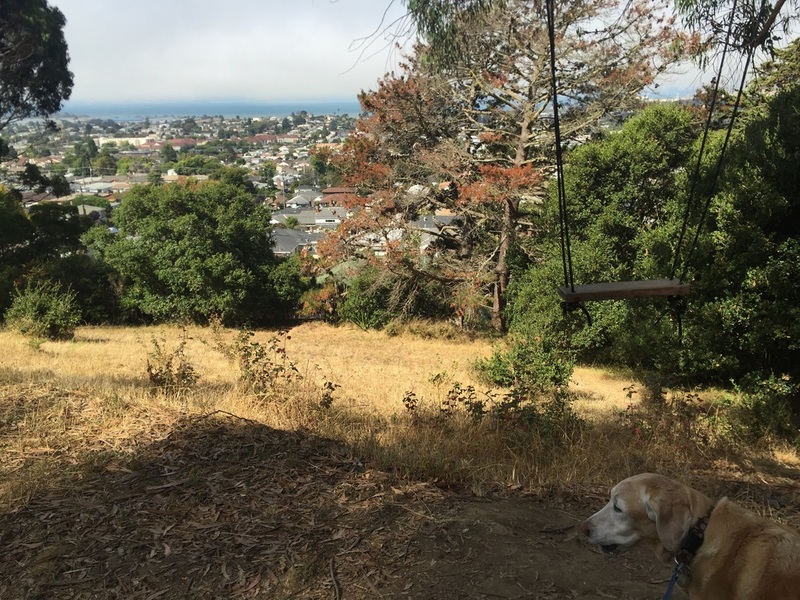 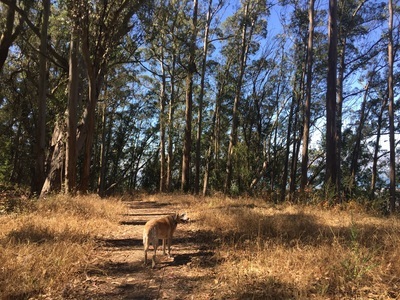 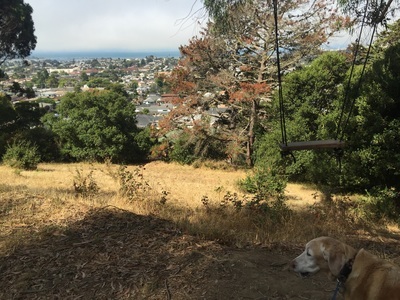 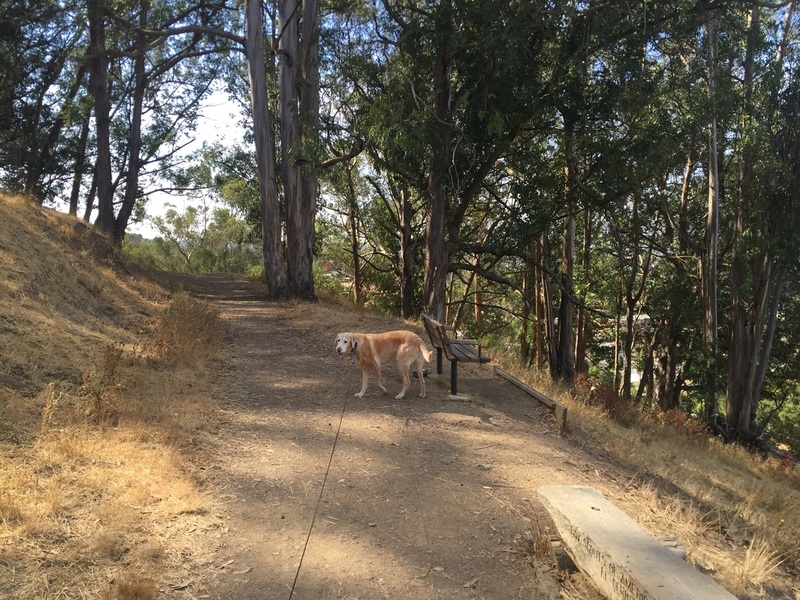 After a short but steep hike up, you’ll reach two benches with gorgeous views of Berkeley and Marin. 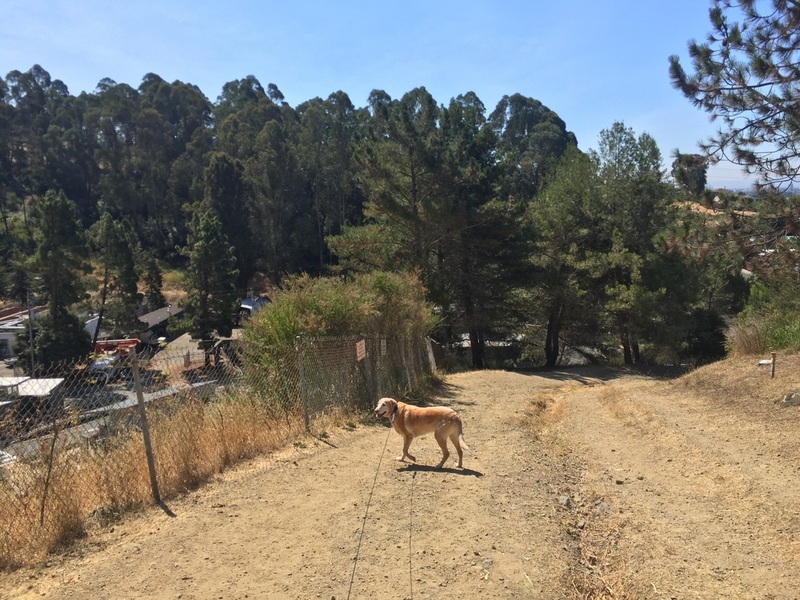 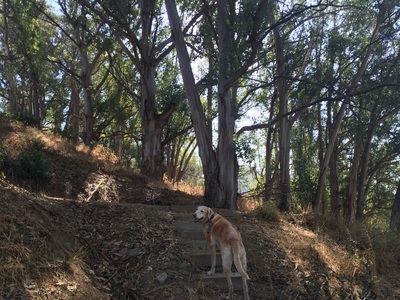 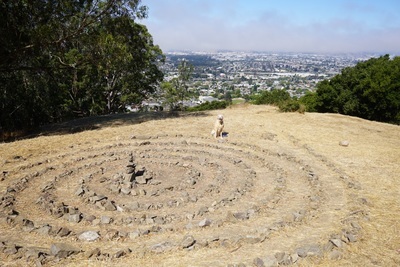 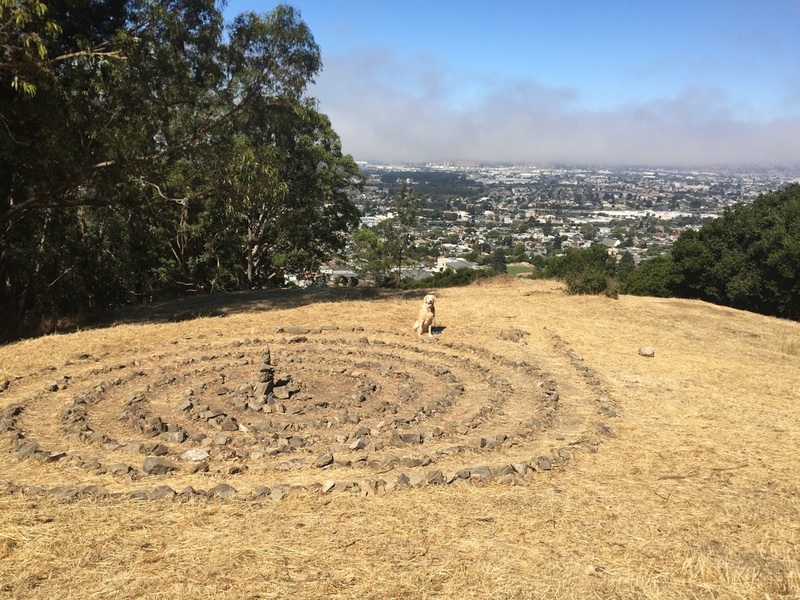 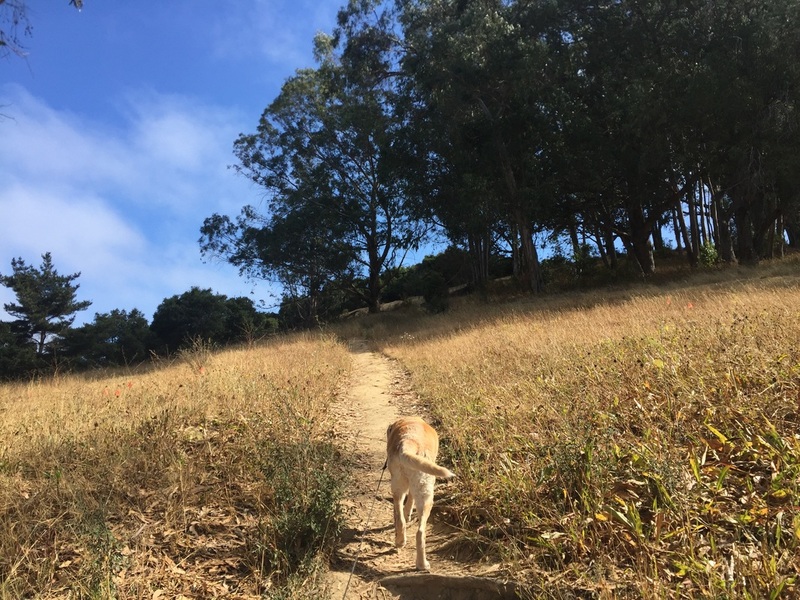 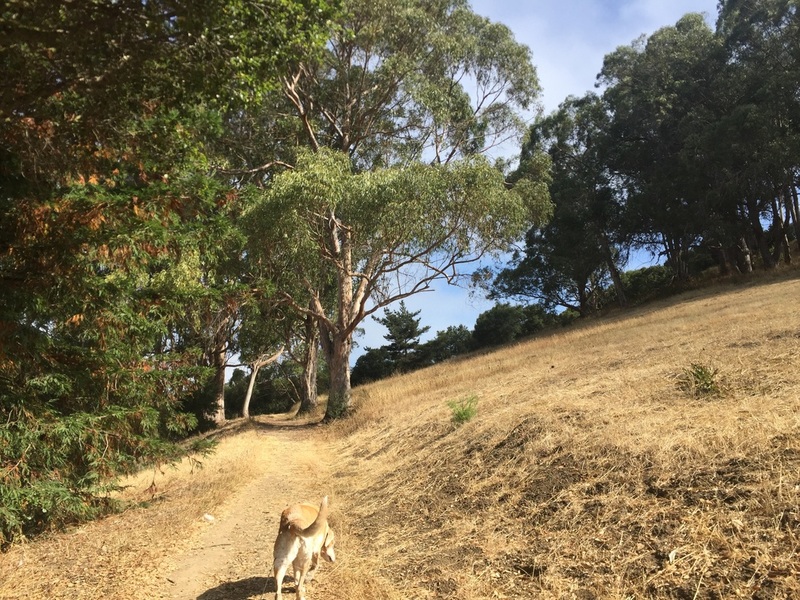 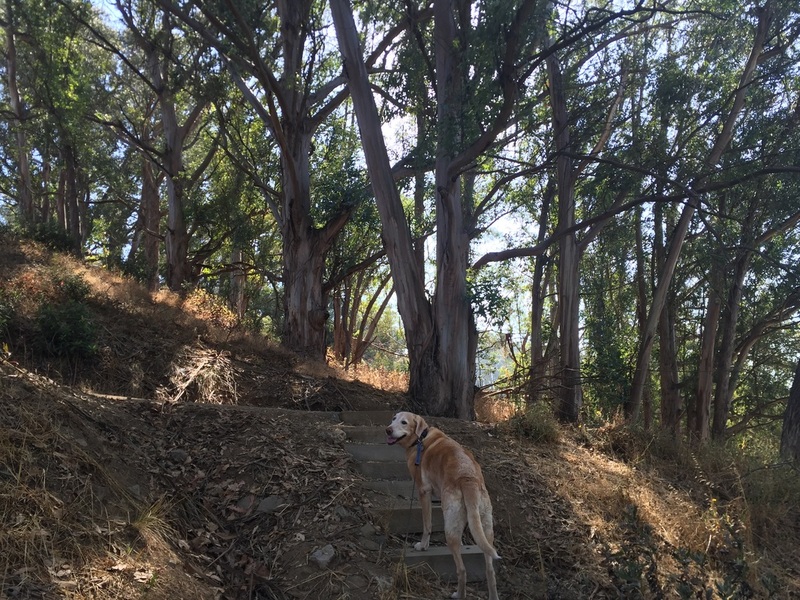 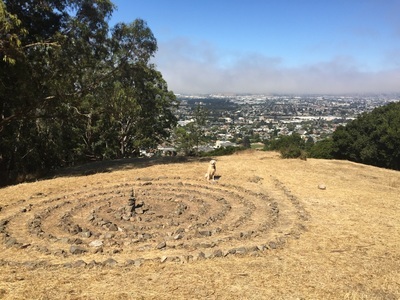 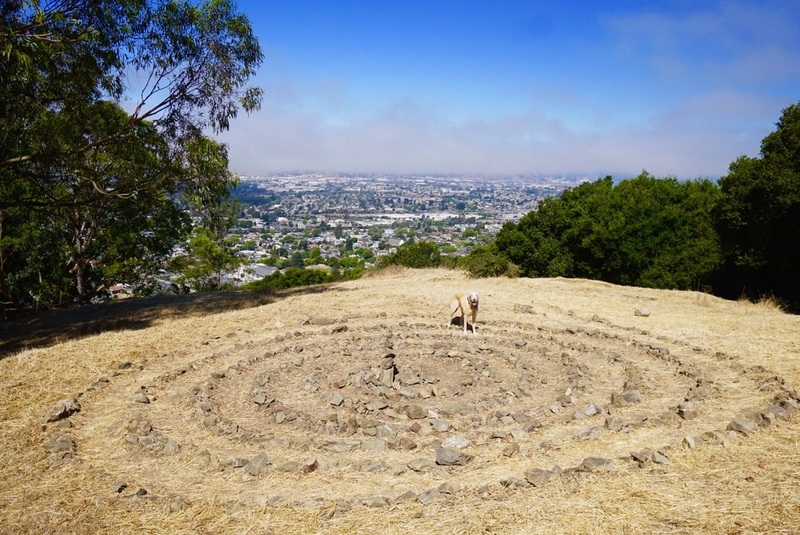 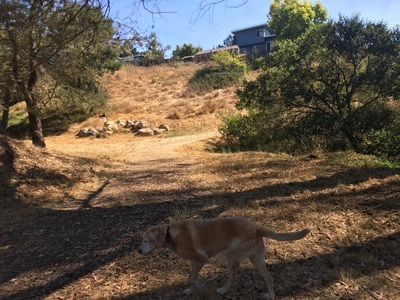 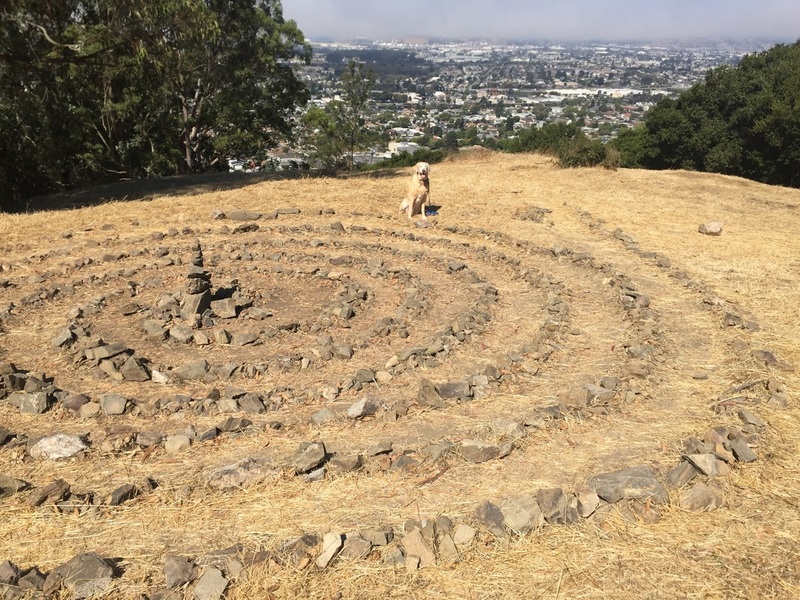 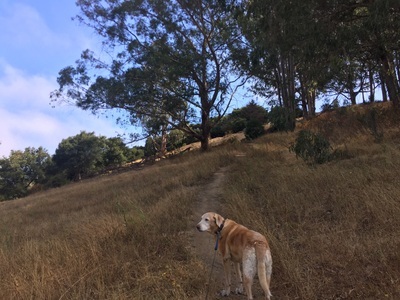 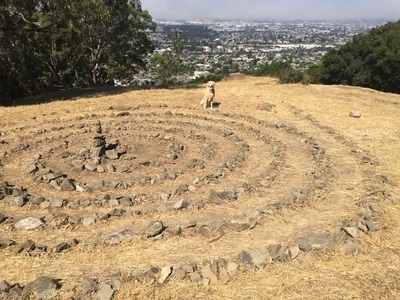 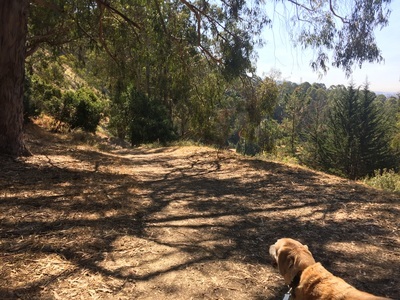 We continued up the stairs and to the left, followed the trail and it circled around the hillside and opened up at a huge labyrinth overlooking the bay. We continued up and to the right, where there are panoramic views of SF and Oakland during your hike. 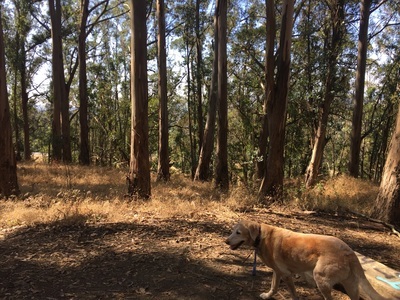 We entered a shady eucalyptus grove with a bench, explored some narrow trails, but couldn’t find a trail leading back to where we parked. 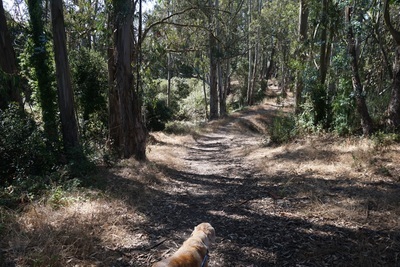 We headed back to the main trail and took the trail on the other side of the hillside along the recycling center and back to where we parked. 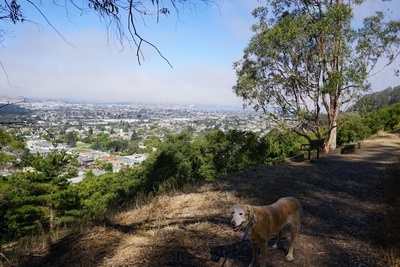 This had views of Oakland and SF nearly the entire way down. 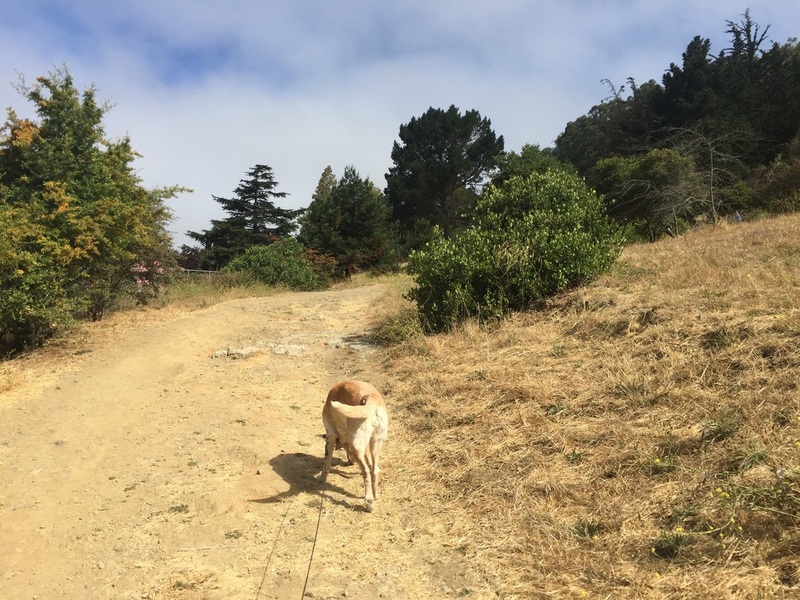 Our hike was a little over 2 miles with 300 feet of elevation gain to the peak. 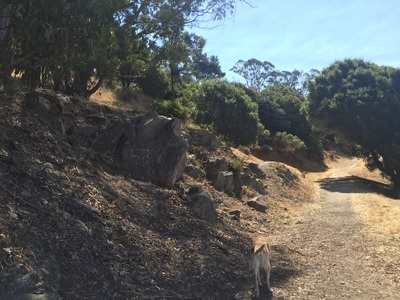 This park has a garbage can at the entrance, but no restrooms or running water.